Hi there! 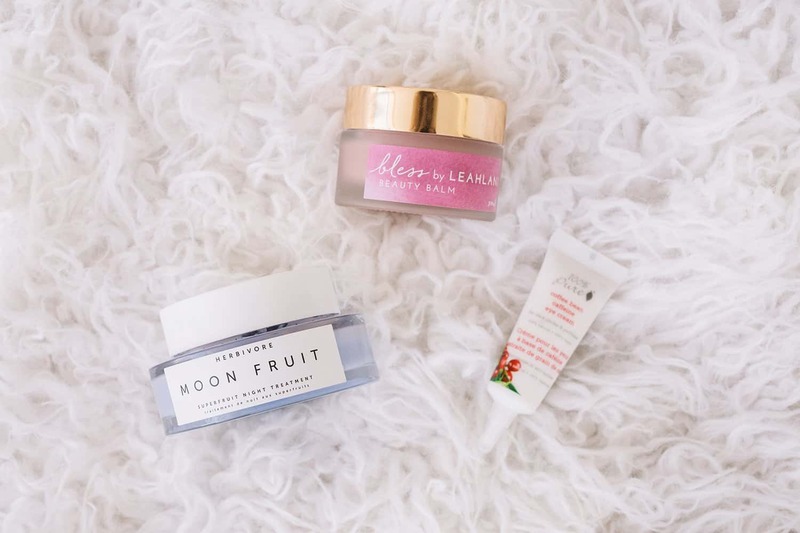 Today, I am excited to share a few of my favorite skincare products with you. I say “a few” because I’ve found lots and lots of things I love—but today, I’m narrowing it down to my essentials. These are the things I am buying over and over, traveling with and recommending to friends! Using clean skincare products has truly changed my life! 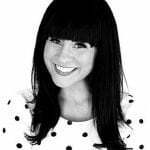 The biggest change in my skin came when I started to use oils every day, as my moisturizer and a lot of the time in place of serums to give my skin nutrients and ingredients with benefits. That said, I want better looking skin too … we all do, right? One thing that I experienced this past year is that I learned a couple tricks that actually are making my skin look younger and more glowy! The first one has nothing to do with products, but it’s about food and drinking tons of water. This book helped change my whole perspective on skincare, and I can’t recommend it enough. And the second big change I saw was when I started to use oils for cleansing and moisturizing my skin. I’ll talk more about it below. When I was younger, I avoided oils because I mistakenly thought they would cause my skin to break out or be more oily. But since using them, my skin feels dramatically more healthy. It was a complete game changer for me! I started to do a two-step cleansing process, using a small amount of oil cleanser first and then a water based cleanser second. If you’ve never tried this kind of double cleansing, I highly recommend it! It does such a better job or removing my makeup and my skin feels softer and more moisturized after. Burt’s Bees Cleansing Oil. This is the only oil-based cleanser I have used other than my homemade one, and it made a huge difference in my night routine. I am a now a huge fan of the double cleansing method and will probably always keep it up! Kale + Green Tea Cleanser. I will be honest that I first tried this product because the bottle is so pretty, but it’s a great product as well. When shopping for a cleanser, it is very important to look for something with no artificial fragrance. Aloha Ambrosia Elixir. Also pictured here is my morning oil. It’s light and smells amazing. It is primarily made with squalane oil and jojoba oil. When I put on a morning oil I usually let it soak in for 10-20 minutes (coffee time!) before beginning any makeup. Next, let’s talk about sun care. These are some of the best products I have found! They are a good mix of functional and affordable. I say “functional” because I’ve tried some natural sunscreens that leave a SERIOUS white film on your skin. This makes it hard for me to get my husband to use it, which defeats the purpose of us buying natural sunscreen. 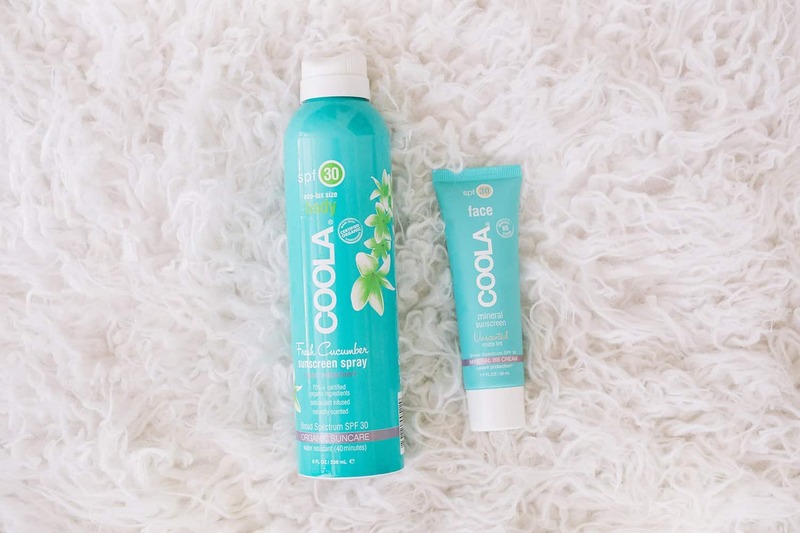 The Coola spray is what we mainly use for pool days. I love Coola because it is easy to apply, leaves no white film on your skin and they made the list of 22 Best Scoring sunscreens for kids by EWG (for reference, here are worst scoring ones). It’s a great sunscreen for our whole family to use. I also use their BB cream. A lot of the time I use it as my foundation, especially for outdoor days and pool days. I have very sensitive eyes and it doesn’t sting. One more thing I should mention (sorry I didn’t get it into a photo) is the BEST organic self-tanner. I love Skinerals. I use the original blend (they have a darker blend as well) with a tanning mitt. Before I found this product, I was paying for organic spray tans, but a bottle of this product is less than one tan! It’s a great product, the best self-tanner I have ever used. I no longer feel like I need to get spray tans because this is so easy to do at home. I am a huge fan of mists. I have tried so many and they are one of my favorite skincare rituals. I use them after every cleansing, before applying any oil or product. 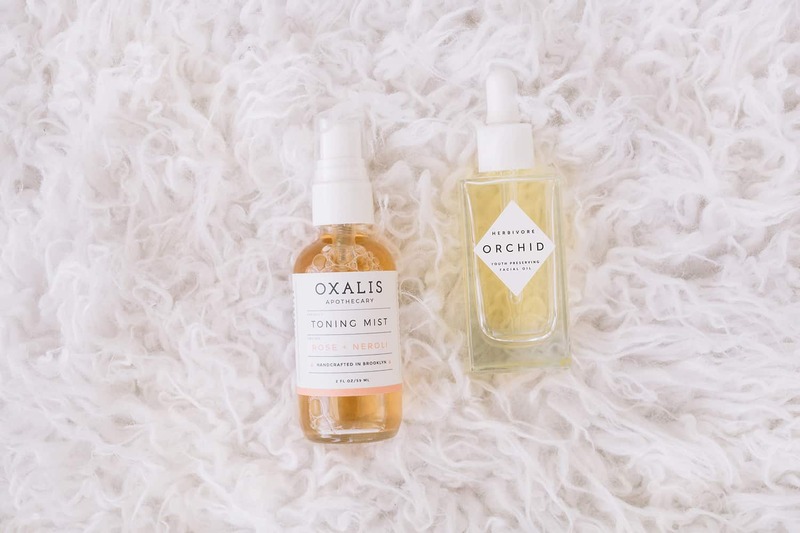 Oxalis Toning Mist. I love this mist because it smells so good, like rose and neroli. I found this company at a local handmade fair and have become a huge fan. The ingredients they use are incredible. Herbivore Orchid Oil. You all know I am a huge Herbivore fangirl. I have tried almost all of their products and love them. I love this oil because not only is is gorgeous (have you noticed I love pretty packaging yet? haha), but the ingredients are wonderful for your skin. Orchid is a powerful antioxidant, squalane helps to protect and moisturize the skin and the amazing scent comes from jasmine. They also make purse-sized face oils—great for travel! Last, but not least. Let’s talk about creams. Coffee Bean Caffeine Eye Cream. One of the best smelling products I have EVER used. I love this product and use it every night. Dark eye circles is one of my biggest skin challenges and this product has made some improvements for me; it’s awesome. Bless Balm. I love this balm! I use it as a moisturizer. It smells incredible and is packed with the amazing things for your skin. It is still oil-based, but feels more like a lotion and it also contains shea butter and organic cocoa butter. Moon Fruit Night Treatment. I use this often, alternating between this and oils for my night routine. It is filled with super fruits, including Prickly Pear, Goji Berry and Red Raspberry Seed and the bright purple color naturally comes from all natural indigo root powder with a hint of manganese violet and ultramarine. It’s so pretty! My favorite thing about this treatment is that you are supposed to massage it in until it completely disappears. So it’s very easy to tell when it’s completely worked in. This product is a splurge, but it lasts a long time (most of these product do!). Credits//Author: Elsie Larson, Photography: Amber Ulmer. Photos edited with A Beautiful Mess actions. A Few New Non-Toxic Products I Am Loving! I had no idea Burt’s Bees made cleansing oils! I love their other products, so it sounds great to check out! Thank you so much for sharing your favorites with us, Elsie! Your beauty posts are always my favorite. 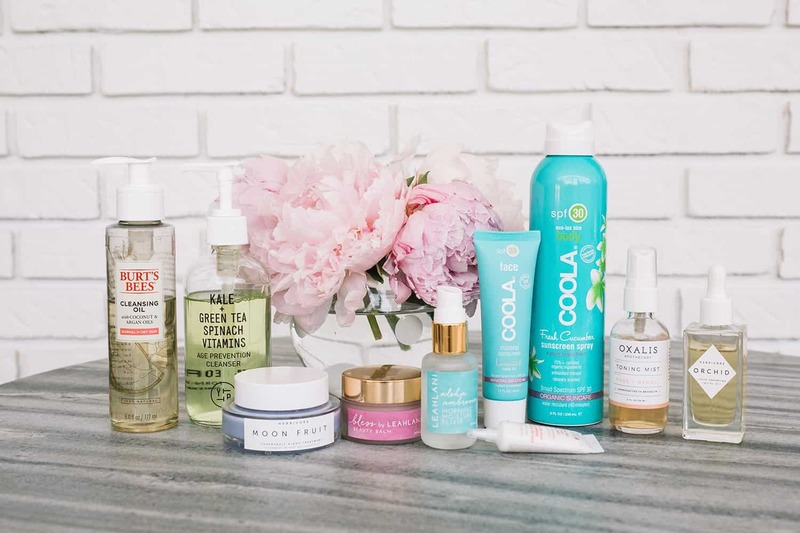 I’m slowly replacing my beauty products with natural/organic alternatives, so I reallllly appreciate your recommendations – they save me so much time (and money!). I’m SO glad these posts are helpful. I love the Burt’s Bees products! I use them all the time on my kids! Thanks so much for sharing these products with us! I hadn’t heard of many of them and I am excited to try some out. Would you mind sharing how you use them? As in, on a normal day, what order do you use them in? I imagine you don’t use them all each day and I’d love an idea of what your daily application routine is, so I can get a feel for how some of these might best fit into my own! In the morning I typically cleanse, use my toning mist, use my morning oil, then sunscreen and makeup ( http://abeautifulmess.com/2017/07/elsies-everyday-makeup-routine.html ). Then at night I do the double cleansing with the oil cleanser first and I alternate between oils and the moon fruit treatment for night, and always use the coffee bean eye cream. Thanks for the tips and reviews! Herbivore Orchid Girl may be perfect for me! I love the descriptions you give for every single one of these products. I’m just starting the process of flipping my skin care routine and this post is so helpful. Thanks for sharing so much with us, Elsie! We are starting a box this Autumn! Stay tuned!!!! But, to answer your question- no I haven’t found one that’s amazing. That’s mainly why we are starting our own! I do subscribe to one, but it’s hit or miss. And a lot of the ones I’ve seen out there don’t have very high standards for how “natural” the products need to be. I’ve been loving these, too, as I switch over. Saves a lot of time and money to start by trying your faves! Honestly OBSESSED with Leah Lani. I use bless every night- also crazy about Siren Serum and the Mermaid Mask. I love her products they all smell so good. Hello Elsie! Great information on skincare products. I am attempting to transition to all natural products at home and to reduce the amount of waste our family produces. Drinking lots of water and getting quality sleep is so important for our health! My friend recommended a haircare product for me recently that I am a big fan of too. Have you tried New Wash by Hairstory? I also really like Lush products and that I can take the packaging back to their store for refills. Oh nice! I haven’t tried that yet! This is a great rundown! Over the last year I’ve been transitioning a lot of my self-care stuff to all-natural, I even started making my own stuff and now I can’t remember the last time I bought body lotion from the store. 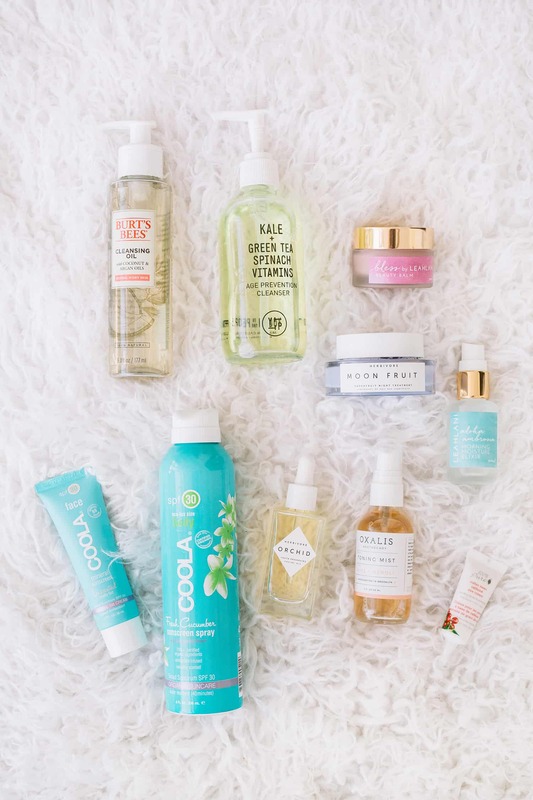 You’ve given me some awesome brands to check out, I’m especially intrigued by the self-tanner, I honestly didn’t know that all-natural was on option for that. Aloha Elsie! I am so honored that you are enjoying Leahlani! Sending abundant aloha from Kauai! Hi Elsie, I love these posts! I’d love to know what order you use your products in, and how your routine varies from day to night. I’ve been using a body oil recently, and I’m not sure if it’s because I have very thirsty skin or if it’s because it’s not the right product for me (Aesop), but I still feel very dry after it and I’m thinking of tag teaming it with a lotion. Would you lotion or oil first? I love the YTTP cleanser. It has really agreed with my skin. No stripping, no dryness, no residue. I’m really glad I bought it. The Coola setting spray is awesome as well. It survived sun and sweat for me vacationing in hot and humid Mexico. Awesome post! 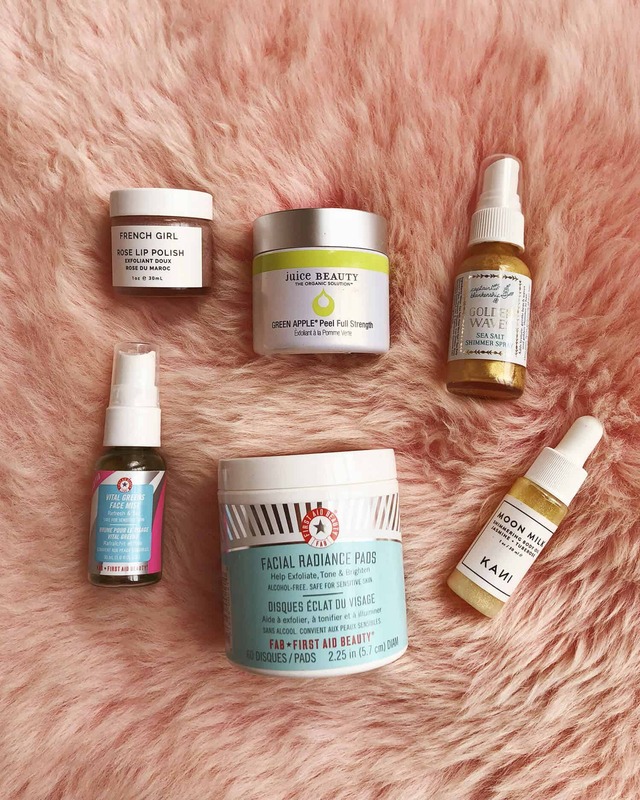 I have been looking using more natural skincare products in my routine. I haven’t heard of many of these brands. I am excited to try them out! Thanks for all the great recommendations. I currently live internationally, so it’s a bit frustrating that many of these products cannot be shipped here, but it is good to have the recommendations anyway. Just wondering if you use an exfoliant at all? Thanks! Choosing all natural products is a great step but I also encourage you to choose body products that are cruelty free! 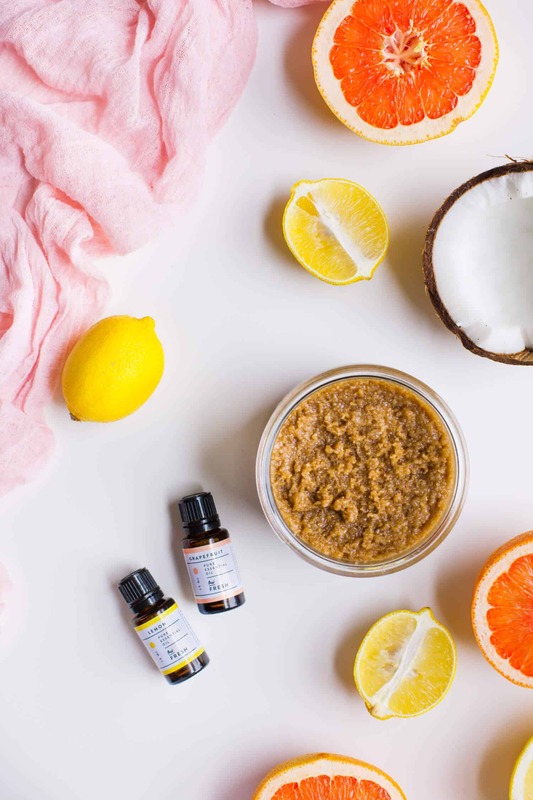 There a lot out there (sadly, Burt’s Bees is now owned by Clorox and isn’t technically cruelty free any longer) and I’d love to see such things on the blog. Thanks for sharing! So I bought that self tanner & tanning mitt from your link above and just wanted to say I LOVE that it applied so easily with the mitt (never knew about tanning mitts haha!) and I love that the self tanner is a mousse kind of product. AND IT DOESN’T SMELL BAD! (unless that part is still coming for me haha). Thanks so much for the recommendations! Have you tried anything from the Luminance Skincare line? I’ve just started using some of their products and can’t stop touching my face–it’s so soft! I’ve been thinking about trying the 100% Pure eye cream. My dark circles always make me look tired even when I’m not! Love these recommendations, but I can’t afford to buy all of them at once. Which two of these would you recommend starting with? Hi Elsie! How long do you usually use a product before deciding that it might not be right for you? I don’t want to quit using something too early before my skin has a chance to adjust. 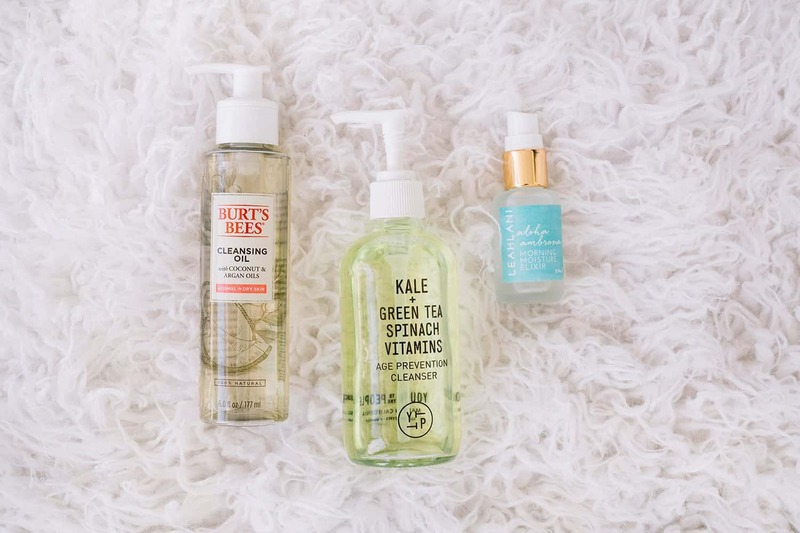 HUGE fan of oil cleansers as well! & totally loving your product shots. Have you used SW Basics products? What are your thoughts on the brand? Thank you for the great recs! I really love skin care and especially moisturizers. 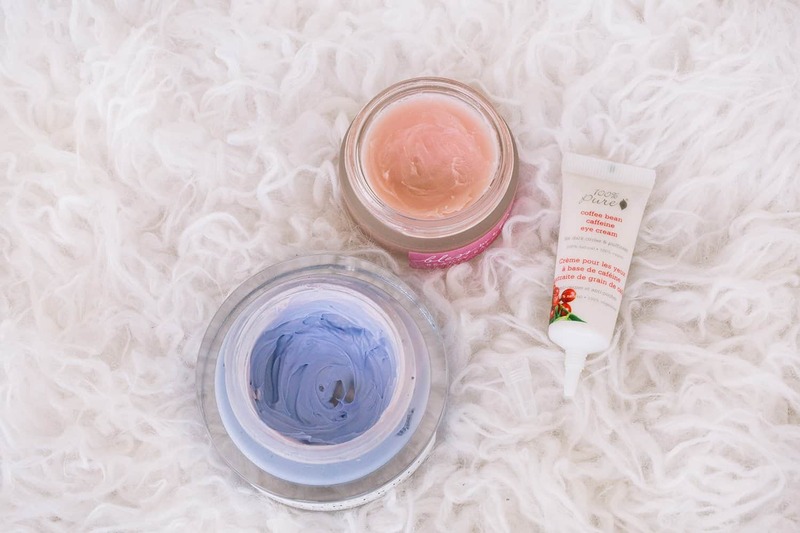 I actually review them on my blog http://www.moisturizers.com – I’m going to give these products you recommended a try! I have been referring back to this post ever since written as I try to switch over my skin care products. It has been the most helpful! Do you have a product recommendation for body lotion replacement? It’s really the last thing I haven’t switched over in my skin care lineup. Do you go to an oil there too? Would love any recommendations! Thanks Elsie! I don’t use much body lotion anymore because I’ve been using a lot of oils. But I think Shea Moisture is one of the best brands you can find at drugstores. For body oil I use Clary Collection. Have you read Skin Cleanse yet? It’s SO good. Very proud of all the work you’ve done. I know it’s not easy swapping out product after product. Good job! This post is SUPER helpful!! Thank you for sharing! Any way you could share your daily morning and nightly skin care routines! I feel like there are so many good products for your skin but I never know what the proper order to use them in! Any help would be appreciated! You feel your night skincare does not bring any change to your skin? Maybe you do it wrong! Not only makeup that needs to be used in sequence, it also needs to be sorted skincare. Thank you for trying the organic, non-toxic, and zero waste stuff for us! I just ordered samples from URB APOTHECARY based on your suggestions. I’m really striving for minimalist and no waste….mostly based on my wallet 🙂 I’m saving up for the next beauty box!! Keep up the good and worthy work!